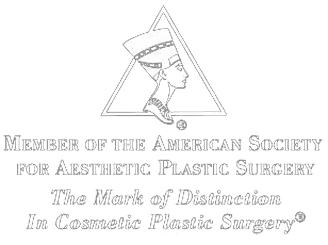 Breast Augmentation is among the more commonly requested cosmetic surgery procedures. Dr. Samuel's office offers saline, silicone, and the new gummibear (410) implants, which can be obtained only through approved surgeons. Women who have experienced sagging of the breast due to aging, pregnancy, breast feeding, nursing, gravity, or weight loss may desire to raise and reshape sagging breasts (mastopexy). A mastopexy also allows the physician to decrease the size of the areola at the time of surgery. Patients who present for breast reduction are usually bothered by a sense of disproportion due to their large breast size and a host of symptoms such as back and neck pain, chest heaviness, shoulder pain or deep bra-strap indentions. They may also experience difficulty exercising or being fitted for clothing or lingerie, and may feel very self-conscious due to their breast size. Breast reduction may alleviate all of these symptoms and lead to increased self-esteem and self-confidence in one's appearance. In some instances, changes occur after breast surgery, with and without implants, that lead to unfavorable results, possibly even posing health risks. In a thorough and thoughtful consultation, Dr. Samuels will evaluate issues resulting from your previous surgery and make suggestions based upon a critical knowledge of advanced techniques designed to restore a better breast aesthetic and perhaps the more youthful, attractive and beautiful appearance you may have intended to experience from your original surgery.